Constructed of 65% carbon fibre & 35% fibre glass. Our Evolution Pro 18ft Hybrid poles have been designed to be as light and rigid as possible. The Evolution Pro has been designed to give excellent value for money. 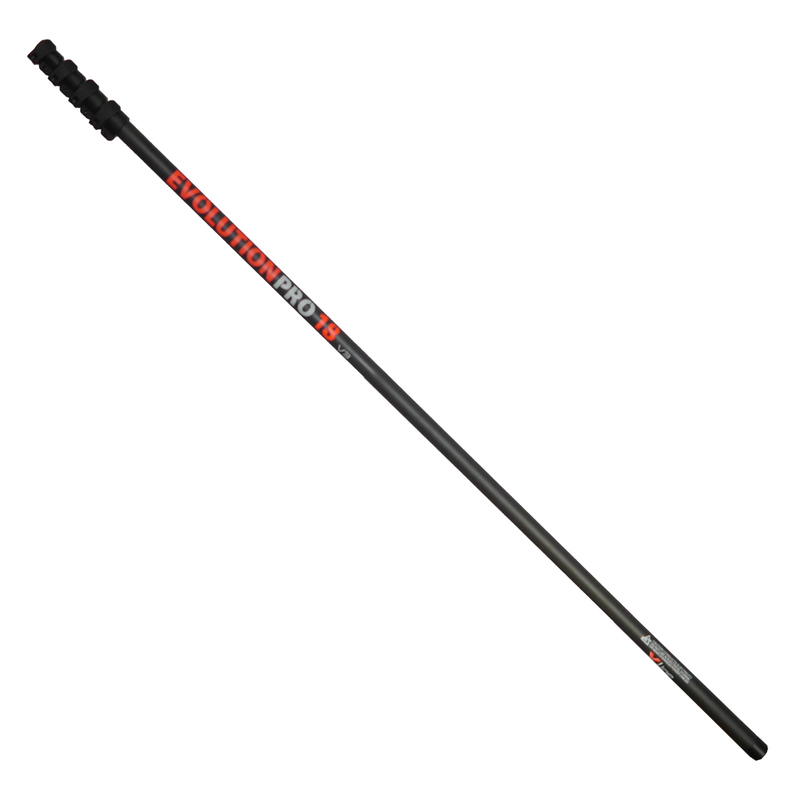 Constructed of 65% carbon fibre & 35% fibre glass, makes these poles suitable for people that want more control over their WFP and a lighter option compared to an equivalent glass fibre pole. These poles are suitable for domestic and light commercial cleaning, available in three different sizes 18, 25 and 30 feet.